You want all your media on all your devices all the time. 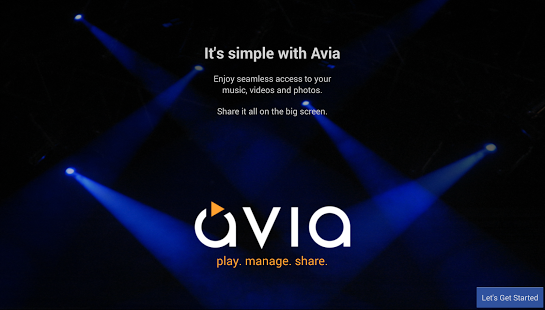 Avia is optimized for Chromecast, Android smartphones, tablets, Kindle Fire and Google TV™. Just about anywhere you have media, you can enjoy it with Avia. Sharing media with your friends and family couldn’t be easier. Simply cast it to Chromecast or a DLNA-enabled device. You can even cast it to your friend’s phone. Your media was made to share – Avia makes it happen.